When the forecast says heavy rain and snow then we start looking for electricity. Neither of us are particularly keen on hot hot weather, so we find we cope well enough in cool temperatures (down to about -4 overnight) so long as the days are sunny and we can replenish our electricity with solar power. In those sorts of temperatures we usually just use our gas central heating for a short while before bed and first thing in the morning. The van is insulated well enough that we don’t drop below freezing inside, and most importantly our water pipes are internal to the van and don’t freeze. But if it’s going to rain or snow all day and the skies are overcast then we find our solar doesn’t replenish our leisure batteries fast enough to allow us to have the heating on (and we cant increase our leisure battery capacity without a bit of an overhaul of our old electrical system). And of course if it’s grim during the day then we’re not out and about raising our body temperatures with exercise, nor is Bertie getting warmed up through the greenhouse effect of the large windows, so we want the heating on for longer. All in all it adds up to a need for electricity or to escape the drab and dreary weather. So we ended up doing a bit of both. We were already well progressed towards the eastern end of the French Pyrenees with the coast in sniffing distance, and we knew that down on the coast there would be campsites or aires with electricity. 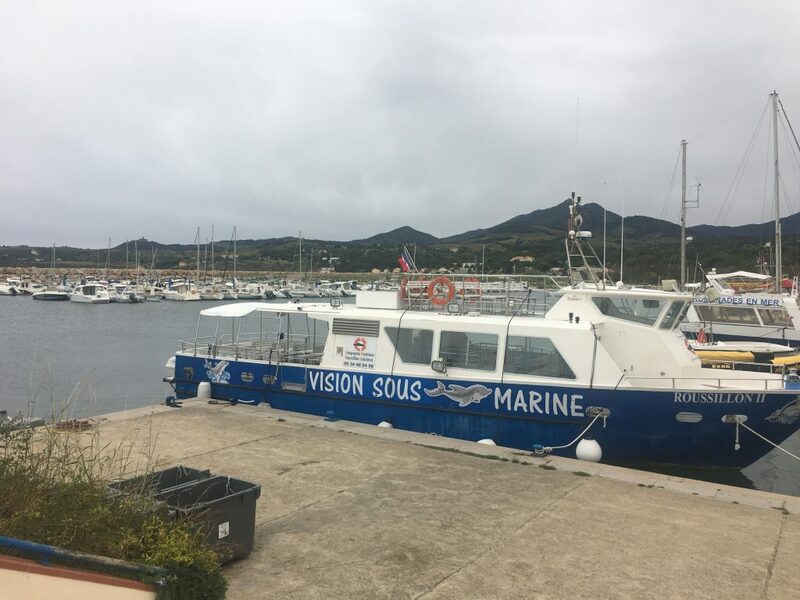 We settled on Argelès-sur-Mer as our destination. It’s probably the biggest resort on the coast between Perpignan and the border, it’s not that pretty or cultural, but it does have a large municipal campsite with good cheap prices (13 euros a night plus tourist tax of 0.66 cents per person per night – what an odd figure!) and it wouldn’t take us too far out of our way. 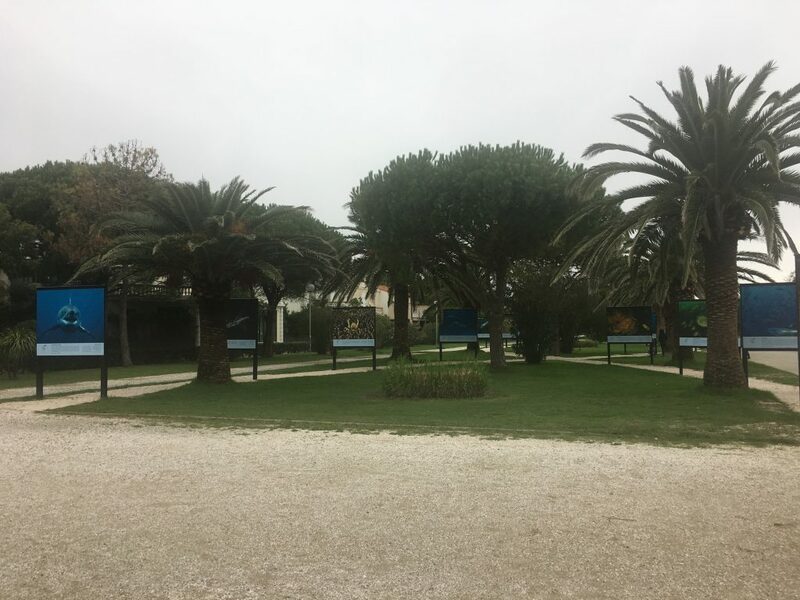 So we drove to Camping Les Roussillonaise, checked in with the friendly staff, drove around the HUGE campsite to find a pitch we fancied and settled ourselves in to weather the storm. Obviously now we were out of the Pyrenees the weather wasn’t as wet or cold as we might have experienced, but it was still a bit dismal and high on the hills we could see the snow starting to settle. We whiled away our time doing the usual stuff, cleaning and tidying, planning the next stages of our travels, cooking, chilling and getting out of the van whenever the weather brightened up. 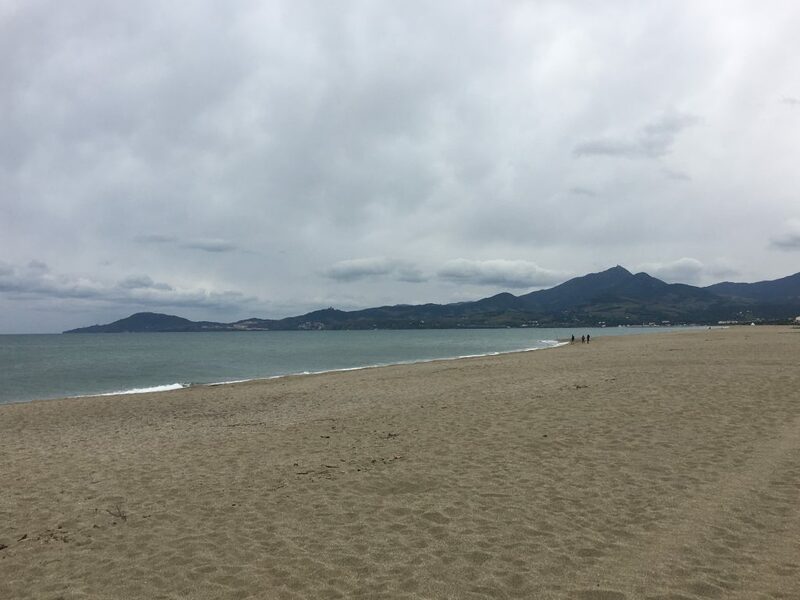 Argeles Plage is a long expanse of beach, but the coast to the south looks much more interesting – one to flag up for another time. We decided that actually the town was quite nice out of season. All of the other campsites were closed and many of the tourist attractions were boarded up, but there was still some life about the place, probably helped by it being French school holidays. The seafront had a steady stream of pedestrians, the cafes and shops that were open had enough customers to make them seem friendly and welcoming. On the esplanade there was an interesting exhibition of undersea photography. The town got steadily more salubrious as we moved away from the campsite and south towards the harbour.